Tom Cruise is Riding a Bike Covered in Cocaine. It Sounds Insane, and so is the Story, but Joel and Chase are Split. American Made would seem to lend itself well to a cinematic treatment. 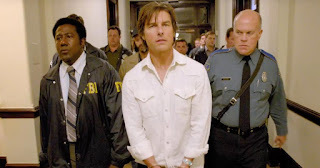 The subject of the movie is Barry Seal, a Trans World Airlines pilot who was contracted by the Central Intelligence Agency to perform reconnaissance missions in the air over South America. The setting is primarily Louisiana and, later, Arkansas in the late 1970s. The twists in the story, which is certainly stranger than fiction, were that Seal was eventually asked to act as courier between the U.S. and Gen. Manuel Noriega and that, during the mission, the Medellin Cartel convinced him to run cocaine for them, too. Any slight research into these accounts will reveal that Seal’s whole existence was tragic. There is an urgent story to be told here, especially as Seal’s fate became wrapped up in a political and moral fiasco for then-president Jimmy Carter. Those closely attentive to the details in the first paragraph can probably guess what fiasco that will turn out to be, but it isn’t until the last line of dialogue, delivered with a wink by its performer, that Gary Spinelli’s screenplay even hints at that fiasco. There is an entire layer of the story, even after Seal’s has ended, that has been rather crudely forgotten. Tom Cruise, an actor whose charisma would seem to have no bottom, plays Seal in a performance that seems to have found the elusive bottom. He seems a bit exhausted here as Seal, whose entire story is told by montages bridged by singular events in which his mortality (not to mention his morality) is on the line. His wife Lucy (Sarah Wright) is aloof to his activities, on the orders of Schafer (Domhnall Gleeson), the shadowy operative who orders various measures with a cheeky grin that is more than a little morose. Eventually she must be looped in when her husband ups and moves them and their children to a small town in Arkansas with a convenient stretch of land and a government-owned airstrip. 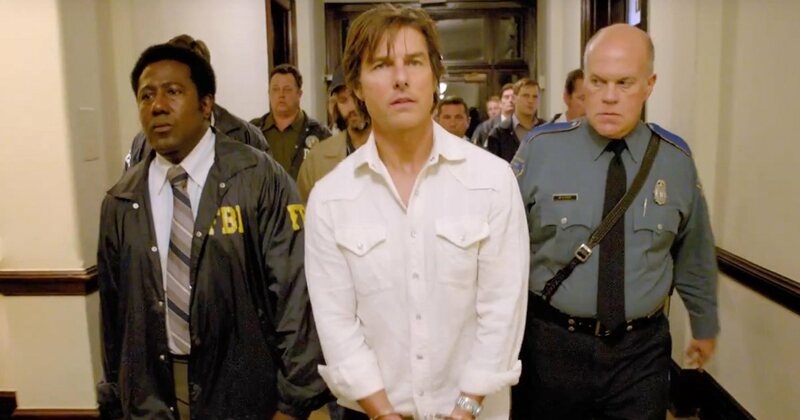 Everything here is strategically placed to tell the story of Barry Seal with as much showboaty fanfare as is humanly possible, yet director Doug Liman’s efforts are oddly counterproductive to those ends. Yes, there are a lot of montages, courtesy of editing that relies a lot on style without any consideration for the points of the story, and cinematographer César Charlone offers a lot of Dutch angles and grainy imagery. None of it works to give the film a sense of urgency. Even as the movie reaches the point of confronting Seal’s fate, American Made takes its fascinating story and drains it of all significance.